There are four species of river dolphins that live in the major rivers of Asia and South America. River dolphins look like primitive marine dolphins and this is because their ancestors lived in the ocean. River dolphins have slender beaks lined with lots of teeth, small eyes, flexible necks and bodies, pronounced forehead melons, large flippers and small dorsal fins. These bodily similarities are thought to be because these dolphins have all adapted to live successfully in rivers. However the different species are not closely related, they have been separated geographically and evolved independently for millions of years. There are four dolphin species grouped together as the true river dolphins and they live in Asia and South America. 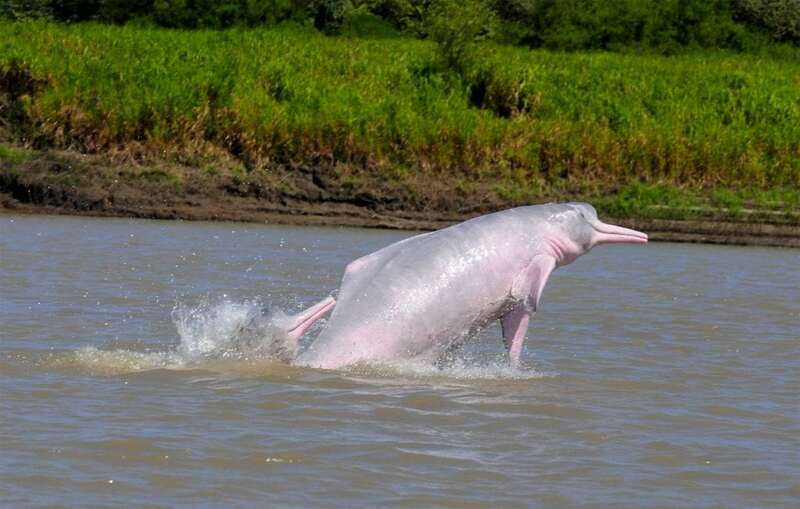 The Amazon River dolphin is known in South American countries as boto, bufeo or Inia. The franciscana is also known as the La Plata dolphin; this dolphin is grouped with the river dolphins, but they live in large estuaries and shallow coastal waters of Argentina, Uruguay and southern Brazil. This is because they are closely related to the Amazon River dolphin and their ancestors are thought to have lived in rivers. The South Asian river-dolphin lives in two river systems – the Ganges of Nepal, India and Bangladesh and the Indus of Pakistan, and the dolphins have local names in each country. In India and Nepal they are known as the Ganges river dolphins or susu; in Bangladesh they’re called shushuk; and in Pakistan people know them as the Indus river dolphin or bhulan. The Yangtze River dolphin is known as baiji in China but tragically is now extinct. In terms of numbers, the boto is the healthiest of the river dolphin species. Botos live in the Amazon and Orinoco river systems and flooded rainforests of South America which have not yet been exploited by humans to the same extremes as Asian rivers. However, this situation is rapidly changing as human populations grow and people transform rivers more and more for their own needs. 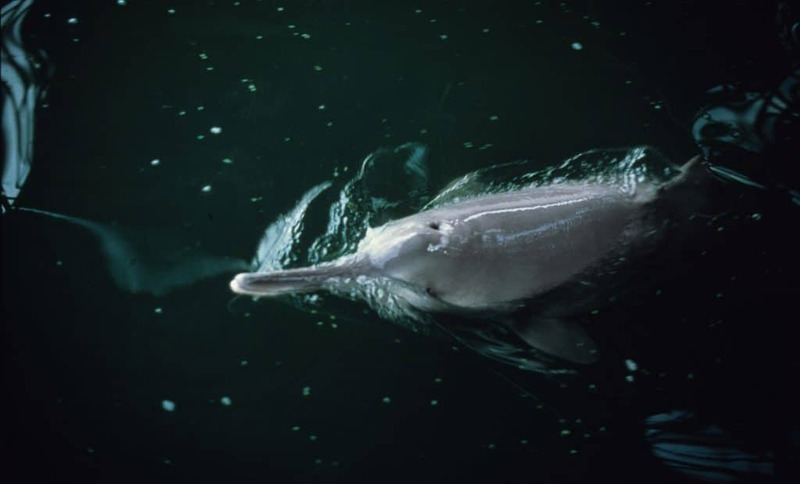 River dolphins are among the most seriously endangered of all dolphins because they live in freshwater river systems, where space is far more limited than oceanic waters; and they live beside millions of people who compete for the same natural resources. Unfortunately the future prospects for river dolphins are likely to worsen as both threats to them and destruction of their habitats continue to increase. 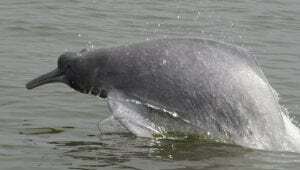 Baiji (Yangtze River dolphin) is now probably extinct. Franciscana dolphin prefers coastal waters. Other species of dolphins may also have populations that inhabit rivers and estuaries, such as the Irrawaddy dolphin. Please care for river dolphins by taking action today. River dolphins and their homes are under threat. WDC has been supporting vital conservation, education and research work for the past 30 years. The baiji or Chinese river dolphin lived in the Yangtze River, China for 20 million years. 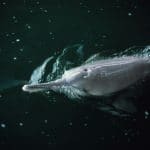 Heartbreakingly this beautiful and unique river dolphin disappeared completely at the hands of humans in less than 50 years. The baiji was declared extinct in December 2006 after a dedicated mission to find some failed to find a single one. The baiji was the first dolphin to go extinct in modern times. In short, people chose the economic development of the Yangtze River (making money) over safeguarding flowing river habitats and a fellow mammal. The Yangtze River basin is home to about 12% of the world’s human population and human threats became more intense with time; many baijis died entangled in fishing nets and snagged on fishing hooks, others were killed by explosives and electric fishing. Faced with rapid and determined human economic development, the baiji didn’t stand a chance. The Yangtze soon became an aquatic motorway and baijis were hit and killed by ships. Noise generated by traffic and construction is bad news for dolphins as they are dependent on echolocation to navigate and find food. The final nail in the baiji’s coffin came in the form of the Three-Gorges Dam, construction began in 1994 and caused huge-scale environmental damage destroying wildlife habitats and wiping out native species. This toxic combination of man-made threats lead to an astonishingly quick decline in baiji numbers; before 1950, there were an estimated 6000 baijis, by the 1980s only 300 survived. In 1997, there were only an estimated13 left, and the baiji was the most critically endangered dolphin in the world. 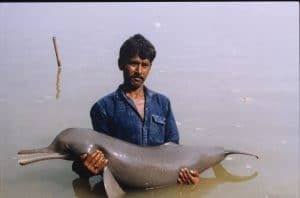 In December 2006, following an intensive Yangtze River survey, scientists declared the baiji (and the entire family of mammals the baiji represented) extinct when they failed to find evidence of a single one alive in the river. From the late 1970s onwards, several reserves were created on the Yangtze River but these did not offer baijis enough protection from ongoing threats and deteriorating habitats and so they were ineffective in conserving them. Likewise, regulations banning harmful fishing practices were not adequately enforced and so illegal, harmful fishing continued. 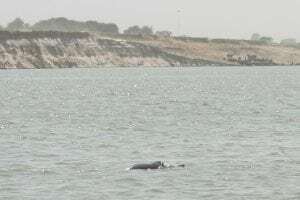 Conditions in the river were predicted to worsen and Chinese authorities concluded that the only option left to save the baiji from extinction was to remove the surviving dolphins from the wild. Meetings and workshops took place over several years where national and international experts deliberated over conflicting opinions about the most appropriate baiji conservation action to take. The main sticking point was whether to remove surviving baijis from the wild and if so where they should be moved to. 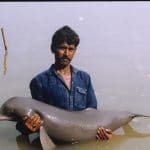 The track record for finding, capturing and keeping baiji (and indeed other species of river dolphins) alive in human care is poor. This is why some experts believed that allowing the remaining dolphins to live their lives in the wild was the best case scenario. Chinese scientists advocated moving wild baijis to a dolphinarium; international experts believed a better option to save the baiji from extinction was to try and maintain a breeding population in a carefully managed, threat-free semi-natural reserve in the hope that one day it might be possible to re-introduce the species back to the wild. All options were fraught with risk. There were detailed debates about what should be in place at the proposed semi-captive reserve so that any baijis moved there would stand the best chance of surviving. 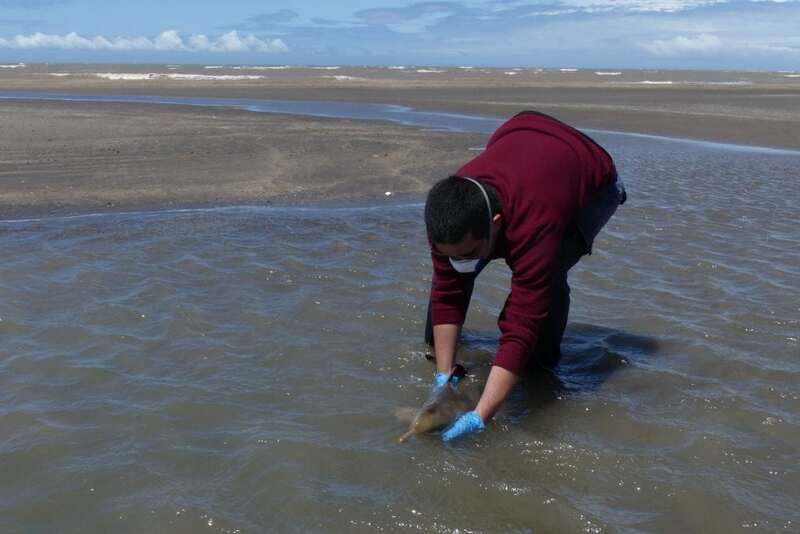 Solutions were needed to reduce or preferably remove threats posed by people living and fishing within the reserve, there was the challenge of how to maintain water quality and protect dolphins from flooding, and whether to remove the finless porpoises living in the reserve. Eventually the Chinese government approved a Chinese proposal to move some baijis to the Tian’e-Zhou oxbow lake reserve in Hubei Province (a section of the river no longer connected to the main channel). Scientists had already had some success keeping finless porpoises here taken from the Yangtze River. Unfortunately, the deliberations had taken so long and the river had deteriorated to such a degree that only minimal financial or logistical support for baiji conservation ever appeared both inside China or from outside. By now it really was a desperate race against time. Attempts were made to find baijis in the river so that they could be captured and released into the ‘semi-natural’ reserve. In December 1995, a lone female baiji was captured and released into the reserve but she died there during the summer flood of 1996. No subsequent baiji captures were made. In 2004, another workshop took place with one single objective – how to prevent the extinction of the critically endangered baiji. The workshop determined that most of the recommendations agreed at previous meetings in the early 1990s had not been implemented and the main reason for this seemed to be lack of funding. The 2004 workshop initiative resulted in a renewed international effort to generate funding for another attempt to introduce baijis into Tian’e-Zhou oxbow lake semi-natural reserve, this time with improved protection in place for the dolphins. Japan provided a grant but tragically, it was unsuccessful because the species had already disappeared. Perhaps an earlier, more assertive response to the baiji’s decline, both nationally and internationally, might have kept some individual baijis alive today. However, we have to ask ourselves what would become of a small breeding population of baijis held in a semi-natural reserve without a viable release plan? It is doubtful that the baiji’s only natural home, the Yangtze River, is ever going to be able to support wild baiji again. Last chance to see pink river dolphins? Adopt a whale or dolphin and help us stop whaling. Your gifts help us take action to end this cruel practice.